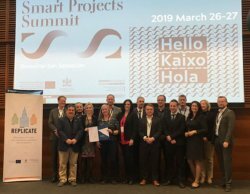 26 March 2019, San Sebastián, Spain: Close to our Lighthouse City Vitoria-Gasteiz, SmartEnCity representatives met in San Sebastián last month, Lighthouse City of Replicate, where they had organized the European Smart Projects Summit, inviting all 14 European Smart Cities and Communities (Lighthouse) Projects to join as well. 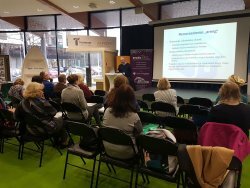 On 8th April, more than residents of 20 smart houses and other interested people gathered in the SPARK Demo center in Tartu to learn more about the pros and cons of living in a smart hrushchyovka apartment building, or smartovka. The smart citizen training program comprises a five-lecture series and aims to educate the residents of smartovkas on various topics like household expenses, the smart home system, city-wide smart solutions etc. 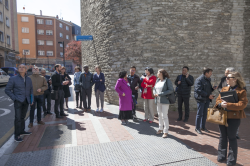 This month the Network Bulletin is explaining how a city can become a Smart City following the experiences and lessons learned from the SmartEnCity project and its Lighthouse Cities. On 22nd March 2019, an Estonian construction delegation visited Sonderborg. The delegation consisted of representatives from about 20 construction companies located in various places in Estonia. They were interested in learning about building designs and green building related initiatives that Sonderborg has implemented. This month, the SmartEnCity Network Bulletin is focused on the Integrated Energy Plan (IEP) of Sonderborg also referred to as the Roadmap2025. 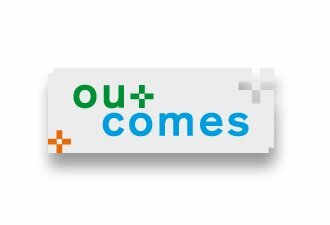 The main points of the IEP are summarised, followed by a link to the full version of the document. On February 1, this year's first public lecture in the SmartEnCity lecture series was held by PhD student Veronika Mooses and lecturer Age Poom at the University of Tartu, a key SmartEnCity project partner. The topics that were covered were changes in the society, sustainability, smart city and technology and the SmartEnCity project. With the beginning of the New Year the final appearance of the first retrofitted façade has come to light. 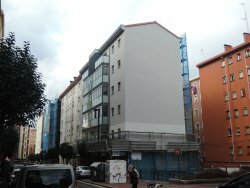 After several months of hard work, citizens can finally have a look at the results of the retrofitting works on the early adopter’s building in Eulogio Serdán Street. 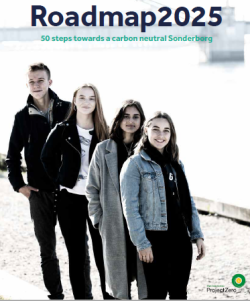 Lighthouse City Sonderborg has put its way to zero carbon into writing; on 33 pages and in colour, the Roadmap 2025 is describing Sonderborg’s challenging journey.